Tobacco users will see sharp price increases in military stores in some states under a new Defense Department policy being implemented in a further effort to crush tobacco use. An initial analysis by Military Times shows the new policy could mean an average price increase of about 26 to 32 percent. Under the new policy, tobacco prices at exchanges and commissaries will have to match what's paid in civilian stores when taxes are included. The timing of the increase is unknown. A defense official said details are still being worked out on how and when the new policy will be implemented. According to the Centers for Disease Control, raising the price of tobacco is the single most effective way to reduce tobacco consumption. Current law requires that military exchanges, commissaries and other resale outlets on installations sell tobacco at prices set no lower than the lowest price in the civilian community. But the civilian tobacco price used for comparison doesn't currently include state and local taxes. The federal cigarette tax of $1.01 is included in the manufacturer's price, so it is paid by military customers. "That's one of the benefits for our customers. They don't pay tax. We don't view tobacco any differently than other products" in terms of pricing, a military exchange source said. The April 8 memo from Defense Secretary Ash Carter stated that prices of tobacco products on military bases in the U.S. "shall match the prevailing local price in the community, including the effect of all applicable taxes that local consumers pay when purchasing tobacco." Outside the U.S., prices will be set "within the range of prevailing prices for that same product" established in outlets of the defense retail systems in the U.S.
Information was not available at press time about how officials define the word "prevailing." Currently, the exchanges conduct price comparisons for tobacco within the local community and set prices based on the average before-tax price of the products, a source said. All tobacco prices are affected. Carter's memo defines tobacco products as "any product made or derived from tobacco that is intended for human consumption, including cigarettes, cigars, pipe tobacco, roll-your-own tobacco, smokeless and dissolvable tobacco, and products intended for use in hookahs/water pipes." Electronic nicotine systems, such as e-cigarettes and vape pens, will also be treated as tobacco products. The amount of increase will depend on the location. 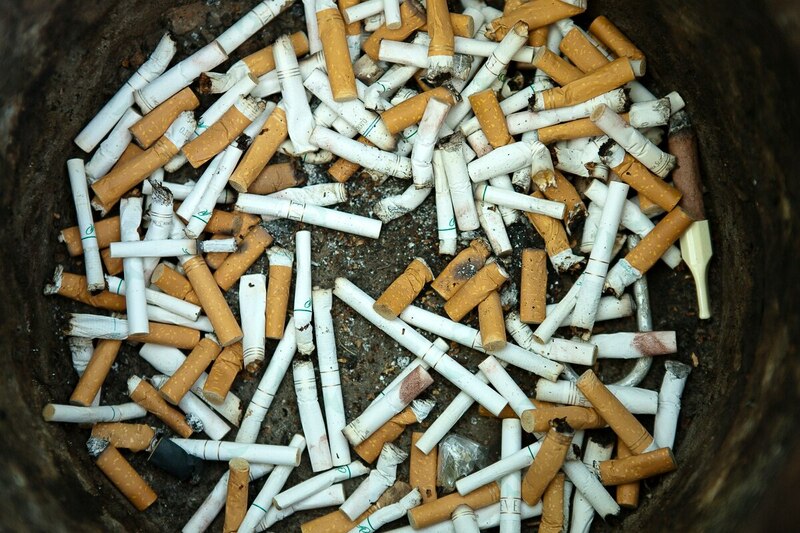 But in 2014, the latest nationwide statistics, state cigarette taxes added an average of $1.28 per pack of cigarettes, according to the most recent "The Tax Burden on Tobacco" report compiled by economic consulting firm Orzechowski and Walker, which is cited by the Centers for Disease Control in its research. In 2014, state cigarette taxes ranged from 17 cents per pack in Missouri to a high of $4.35 per pack in New York. The same year, the national average cost per pack of name-brand cigarettes in the civilian community was $6.28, including that average of $1.28 in state taxes. Based on those nationwide numbers, the average increase would be 26 percent in military retail stores by raising the prices to include the tax calculation. If a state's general state sales tax is added, that would be an average of 31 cents more per pack, and the average increase would be about 32 percent. Those increased prices don't mean the exchanges will be paying taxes to state and federal governments. It will be part of the exchanges' profits, which are plowed back into the services' morale, welfare and recreation programs and store improvements. But sales are expected to decline, and the reason for increasing the prices is to curb tobacco use. A 10 percent increase in price reduces overall cigarette use by an estimated 3 to 5 percent, according to the Centers for Disease Control. The center notes research indicating that youth and young adults are two to three times more likely to respond to price increases than adults. The health and productivity impact of tobacco use in the military population costs the DoD more than $1.6 billion each year, Carter stated. And while the prevalence of tobacco use among new recruits is about the same as the national average, the prevalence increases after entry-level training and first units of assignment. On average, 38 percent of current military smokers initiated tobacco use after joining the military, his memo stated. Carter also directed the services' medical officials to improve education on the harmful effects of tobacco use and to strengthen tobacco cessation programs. "More than seven in 10 smokers want to quit, and we should be doing all we can to help them succeed in this effort," he wrote. He also directed that defense officials implement plans for increasing tobacco-free zones around areas that are frequented by children; and to review efforts to increase smoke-free options in military housing. The policy is the result of a review launched nearly two years ago by former Secretary of Defense Chuck Hagel, who asked for recommendations for comprehensive tobacco control programs. In March 2014, the Navy was reportedly on track to eliminate tobacco sales on Navy and Marine Corps bases. But that was put on hold after the comprehensive review was ordered in June 2014. Meanwhile, lawmakers moved to stop DoD from banning the sale of tobacco on bases, including a provision in the 2015 National Defense Authorization Act that prohibits DoD from banning the sale within military retail stores of any legal consumer tobacco product category. In an effort to prevent deep discounts on tobacco, lawmakers also changed the pricing policy, preventing military retail stores from selling a tobacco product at a price below the most competitive price for that product in the local civilian community. That, in effect, eliminated the previous 5 percent discount on the actual price per pack. Tobacco sales on military bases have steadily declined since defense officials began taking steps to reduce smoking in the ranks about 20 years ago, through a variety of efforts. They're still declining: The number of tobacco units sold by the Army and Air Force Exchange Service decreased by 11 percent in 2015, compared to 2014. That includes tobacco products sold in commissaries on Army and Air Force bases. For years, the exchanges have provided the tobacco products to commissaries, in order to sell them at marked-up exchange prices, rather than at cost from the manufacturer, as other products are sold in commissaries. Karen Jowers covers military families, quality of life and consumer issues for Military Times. She can be reached at kjowers@militarytimes.com.